Kate Stephenson has opened a wonderful new gallery in Berwick on Tweed, and has started with an Open Exhibition from Saturday October 13th until November 2nd. The Watchtower is open from 12.00pm – 4.00pm every Thursday, Friday, Saturday & Sunday. Richard and Maggy (friends from art student days) and I have all got paintings hung there along with many other artists who had connections with Kate and Ian Stephenson and art education in the North East. 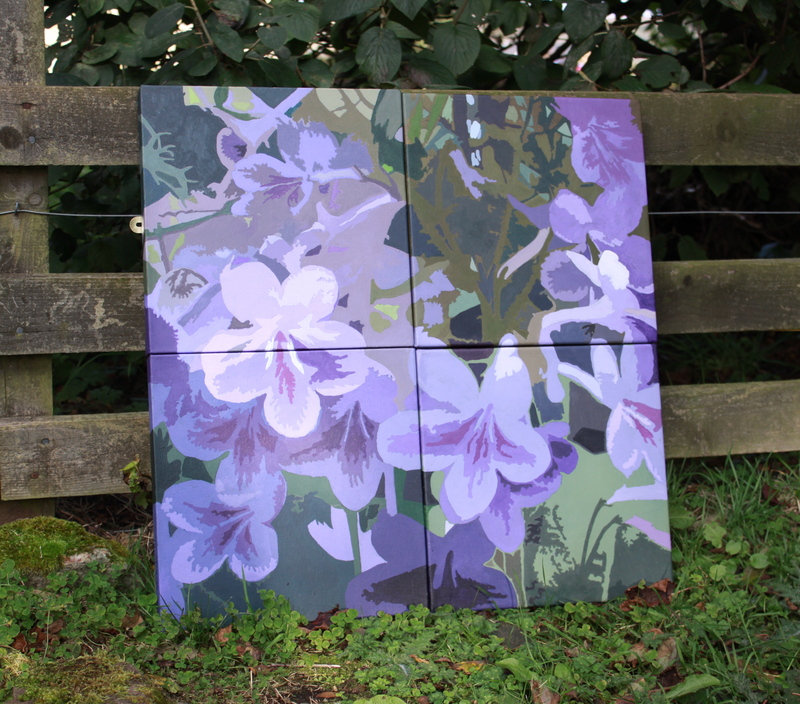 I was so happy to manage to complete my ‘Purple Petals’ group of four canvasses, and to fix them together so that they lie quite flat. I’ve got lots more plant type paintings in mind to finish ready for the next Open Studios in June.